This is my third year in using the Bullet Journal System. Ever since I saw that original Bullet Journal Video I have not stop loving the analog note taking system created by Ryder Caroll. I plan my next actions, I organize my thoughts and I review my life on one handy notebook. For someone like me who love making lists and taking notes the Bullet Journal system is such a blessing in disguise. I feel like the first two years spent in bullet journaling helped me create a better bullet journal set up for 2017. I learned to ditch those that are not working to my advantage and improve the pages that I really help in my productivity. 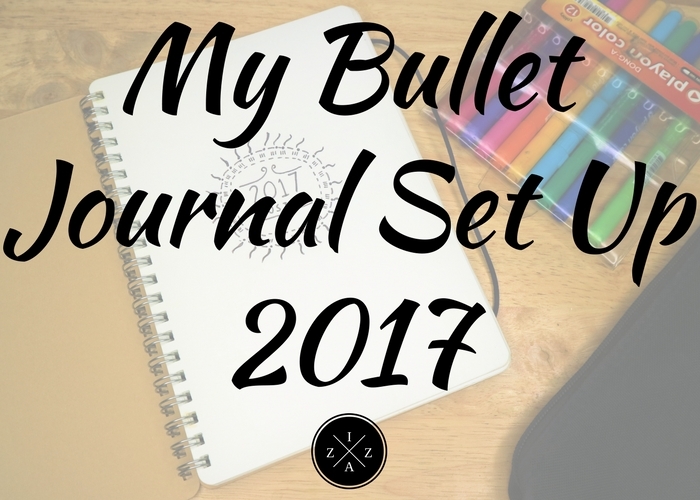 Today I will be sharing my 2017 Bullet Journal Set Up. This is far from the perfect bullet journal set up but it is the best I have done since the beginning of time. Hope you enjoy this post. My 2017 Bullet Journal Set Up started in December last year. I have moved most of the collections I had from the past Bullet Journal Notebooks I own to my New Bullet Journal. Just like before I don't use my Bullet Journal Set Up as a diary but only as a planner and organizer in one. Currently I use a Muji A5 Dotted Notebook with board cover and black elastic band for 365pesos. This is almost the same with my last Bullet Journal notebook bought in Muji as well. For pens I use Pilot G-Tech and of course I still have my Dong A colored pens. I also started to collect Stabilo Point 88 in colors black, red and light blue. Hopefully I can exchange my Dong A colored pen set to a complete Stabilo set in the coming months. So What's In My Bullet Journal Set Up This 2017 Looks? Just like last year I manage to come up with my main "Word of the Year" or shall we say "theme of the year". For 2017 I chose the word HUSTLE. My plan this year is to as aggressive as possible especially in career and business. I want to push myself and be as busy as I can to move forward. My Keys for 2017 is very specific. I included the most common bullets I use as well the weather icons and time tracker colors. For Index I kept it as simple as possible. My goal for this year is to be on track with my index page unlike on my past Bullet Journals. This is a good page I saw in Instagram from a fellow Pinay Bullet Journal enthusiast. I love this page so much. Here I included the highlights of my 2016. As mentioned in my Year in Review I see 2016 as my best year yet. I traveled, I hiked and I experienced a ton of new adventures ever. It made me look forward for the New Year. I saw this layout in another Instagram account and love the idea of putting at least six months in advance to one page. I also include a monthly focus and rapid log of my events and plans for the particular month. I upgraded my 2016 Bucket List into a Life's Bucket List for this year. You can view an update of my Bucket List in this LINK. Included in my Life's Bucket List are things I need to do or to accomplish before I die. From going to South Korea to buying my dream car and dream house. The Level 10 Life is something new I'm introducing in my life. I realized how much my goals became a wish list last year and wanted to change this for 2017. I chose 10 areas of my life and wrote down at most 10 goals as metric of success. I have a detailed explanation here for your reference. For this year I want to read at least 54 new books. I have my re-reads as well as the books I included in my waiting list last year. This spread is for my financial goals this 2017. I have my Monthly Budget, Emergency Fund and Out-of-the-Country Travel Fund trackers. I also plan a no-spend months for January, April, July and October. 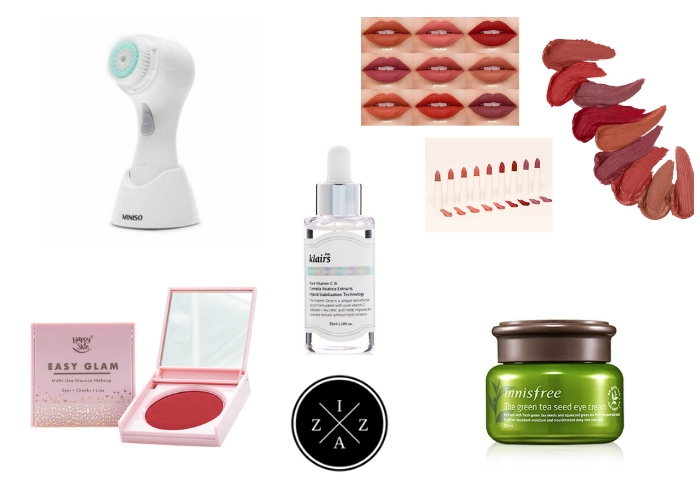 As a reminder I have my 2017 Money Resolutions like #1 Less Dining Out, #2 Never Buy a Skincare Product I Don't Need, #3 Less Clothing Allowance and lastly #4 Buy only the makeup that makes me happy. I feel happy with my January Bullet Journal Set Up. I manage to create a functional Weekly Layout as well as Blog Calendar. Still using the same Calendar Layout as the months. In this set up I have my events and gratitude log in the same page. For January I created a Habit Tracker. I know mine looks bad because I fail to keep on habits and routines. I also created a dashboard for my January Focus which includes goals for the month, posts to be up'd, personal matters to attend to and business stuff. I changed my Weekly Layout once again for the better. Same details as last month's Bullet Journal like calendar, daily expense tracker, to-do list and weekly review. For Daily still the same as last month. For January I did a spreads for my routines like AM and PM Skincare, Miracle and Evening Routine, Cleaning Routine and A List of my 2017 Resolutions. I also did a 2017 Blog Calendar in my Bullet Journal which was inspired by the blog calendar of Lily Pebbles and customized it for my two blogs. I'll share the photo and more details on another post. I hope you liked this post. I really enjoy my current Bullet Journal Set Up for 2017. That's it for my 2017 Bullet Journal Set Up.